HAPPY MONDAY! Because we know Mondays can kinda blow, we are kicking-off our mid-season FLASH SALE today! 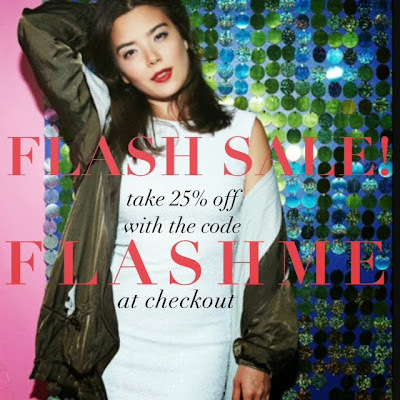 Until midnight Wednesday take 25% OFF online with the code FLASHME at checkout!! Monday is looking better already.